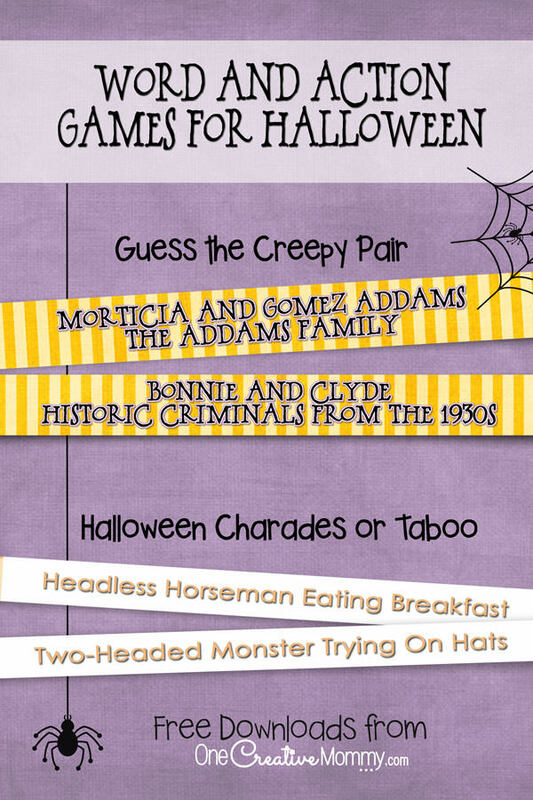 Spooktastic September continues today with some pretty awesome couples and family Halloween costume ideas. It’s been several years since my family let me dress them up in matching costumes. (In fact, they pretty much only let me do that when they were still in diapers.) 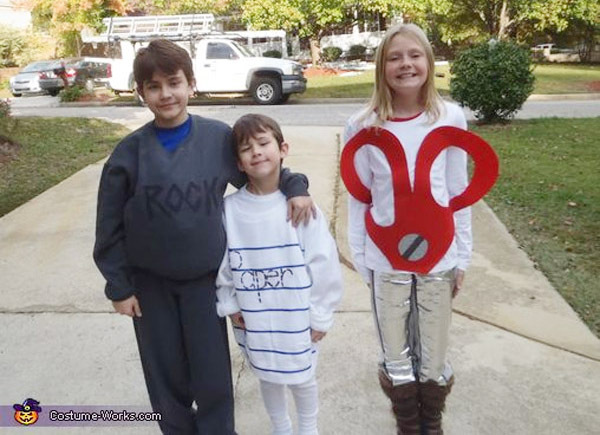 Sadly, my dream of fantastic family costumes will likely never be realized. 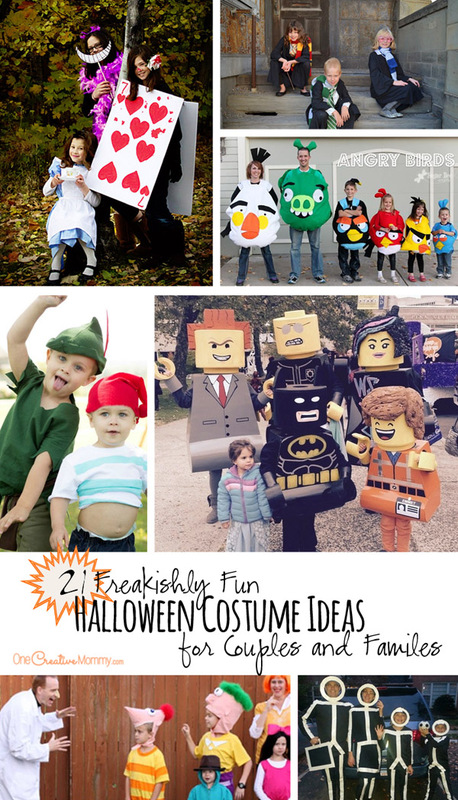 But–I can live it vicariously by collecting fun costume ideas for you! 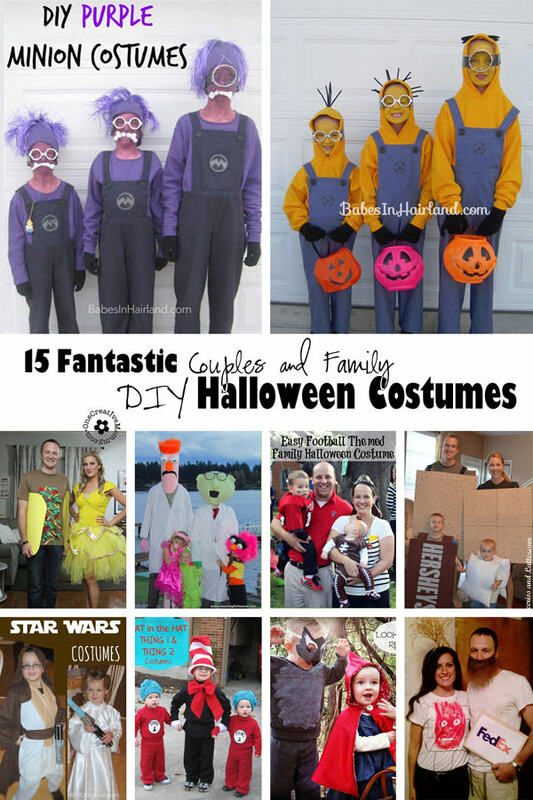 If you missed last year’s collection: 15 DIY Couples and Family Halloween Costumes, be sure to check it out. It’s one of my top 10 most viewed posts. In no particular order, here are some of the fun ideas I’m loving this year. Most can easily be adapted to work for a family or a couple. Not only does the wig make me smile, but I love it when costumes creatively incorporate a pregnancy. Thanks to C.R.A.F.T. 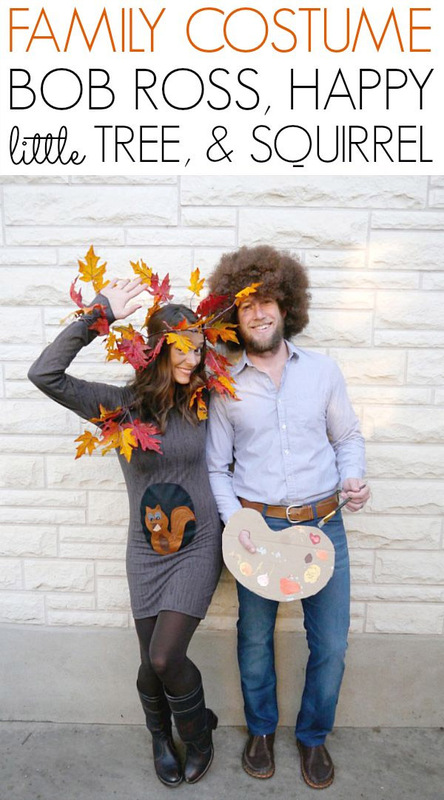 for this Bob Ross, Happy Little Tree and Squirrel costume. Is your family into the Princess Bride? Hi! It’s Jilly has you covered with tutorials for three characters from the movie! Do you remember the “Where’s Waldo” books? 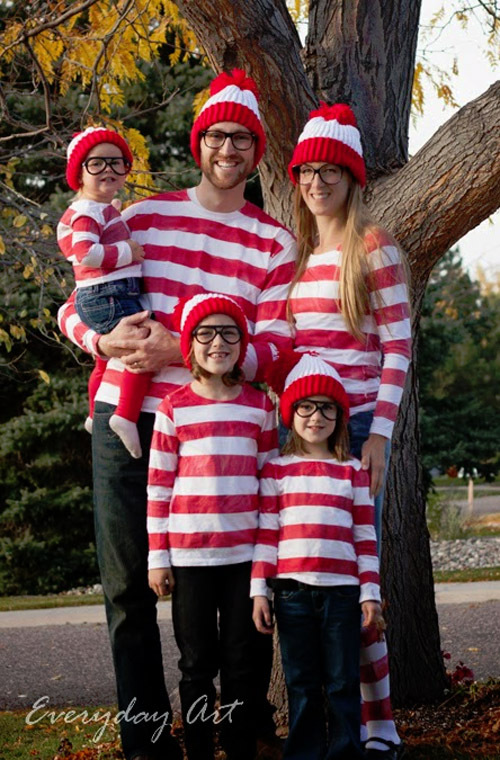 You’ll have no trouble finding Waldo with these adorable Where’s Waldo costumes from Everyday Art. 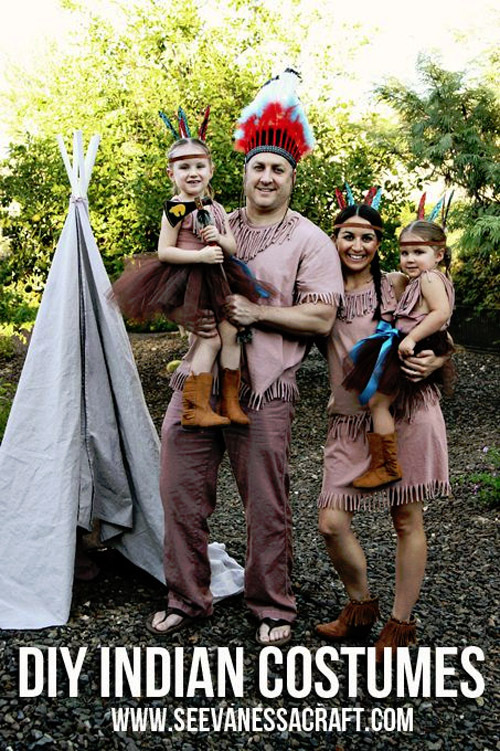 Indian Costumes are always a hit (just ask my daughter), and Vanessa from See Vanessa Craft was able to make costumes for her entire family without any sewing! 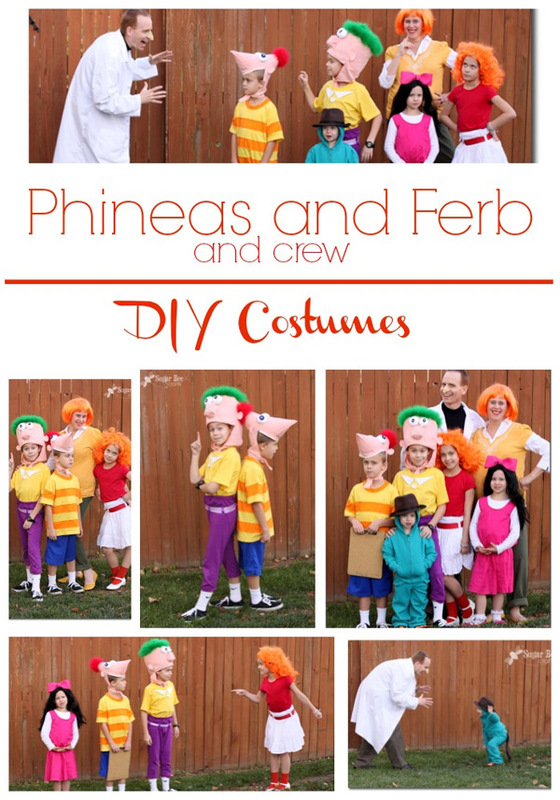 If your kids love Phineas and Ferb as much as mine do, you should definitely check out Sugar Bee Crafts. 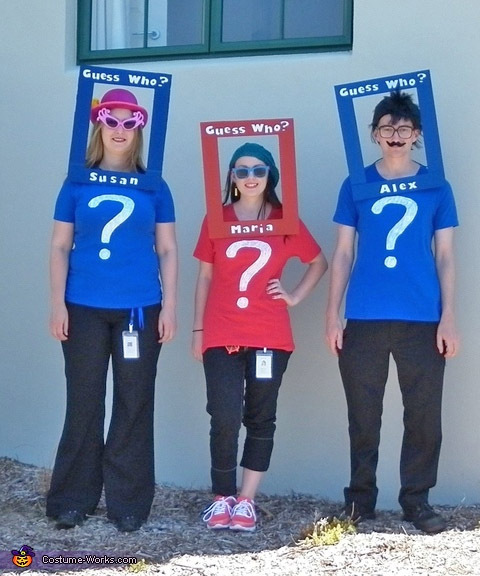 She outfitted a family of seven in these creative costumes! Now this game of Rock, Paper Scissors would be fun to watch! 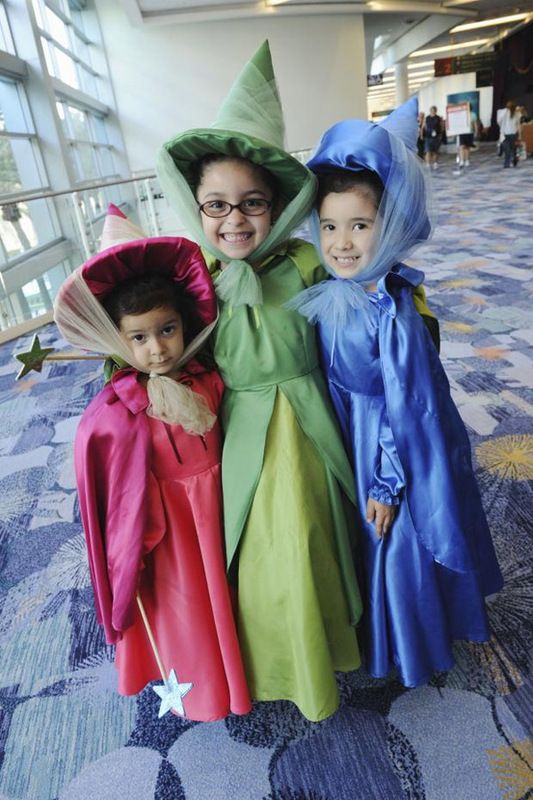 Love these costumes designed by Miriam on Costume Works. These dalmatian costumes look really easy. 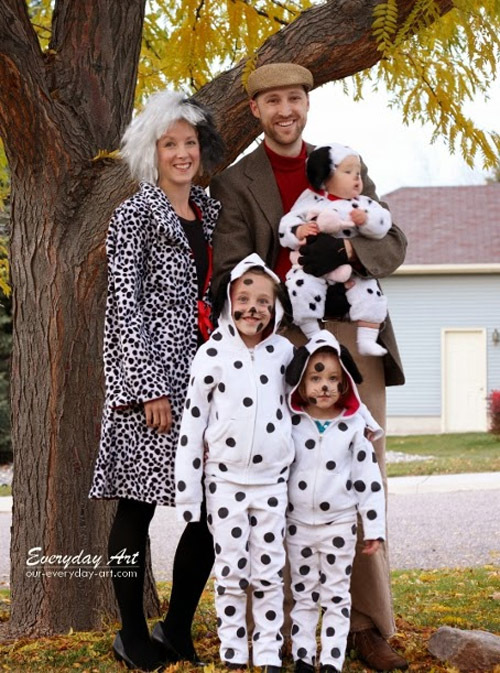 You’ll find this fun 101 Dalmatian family costume idea on Everyday Art. 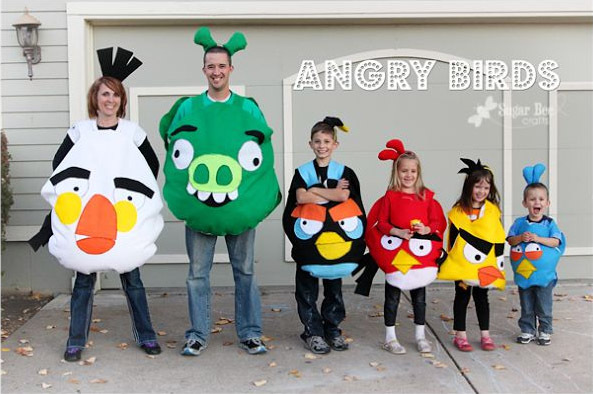 Sugar Bee Crafts has another hit with these cool Angry Birds costumes! 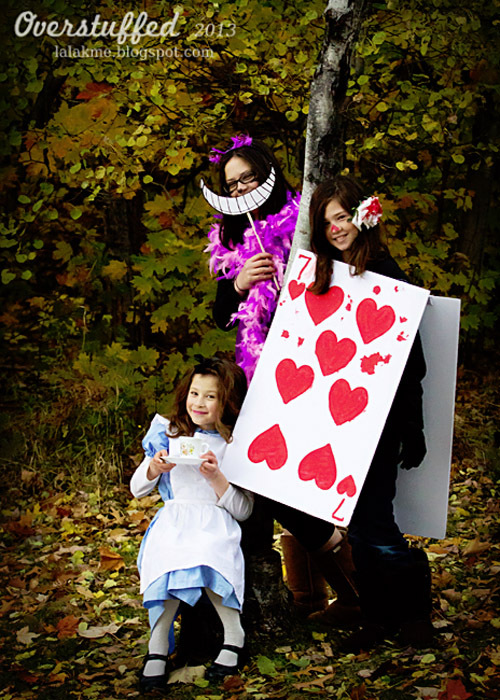 I love the simple and classy look of these beautiful Sunday Adventures in Wonderland costumes by Lara at Overstuffed. Love puns? So do I, and so does Lauren from the Thinking Closet. Visit her site for a friendly game of tag — #hashtag, that is! 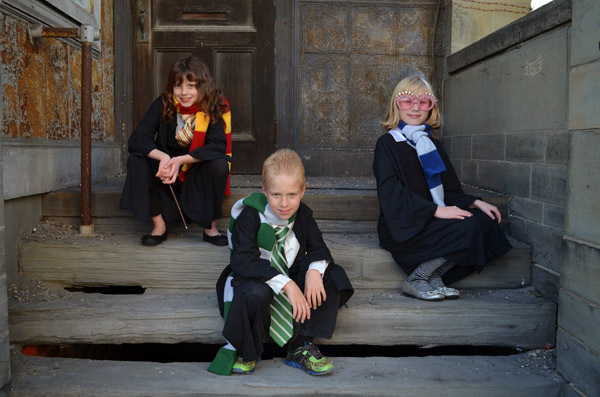 So far, we’ve only had one kid at a time interested in dressing up as a character from Harry Potter. If you have Harry Potter fever at your house, check out how Hi! It’s Jilly outfitted her entire family as characters from the books. 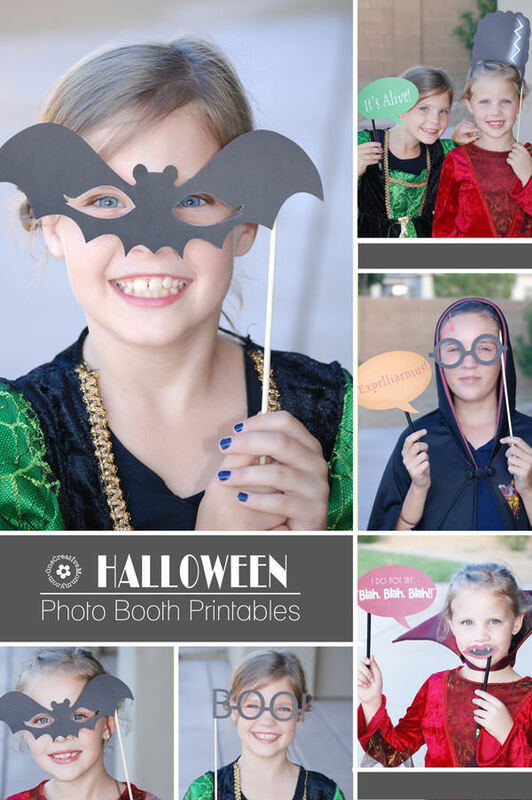 This fun costume idea is based on some sketches from a hilarious (and completely clean) comedy show called Studio C. If you haven’t seen it, Lara has some clips in her post. Such a fun and easy idea! 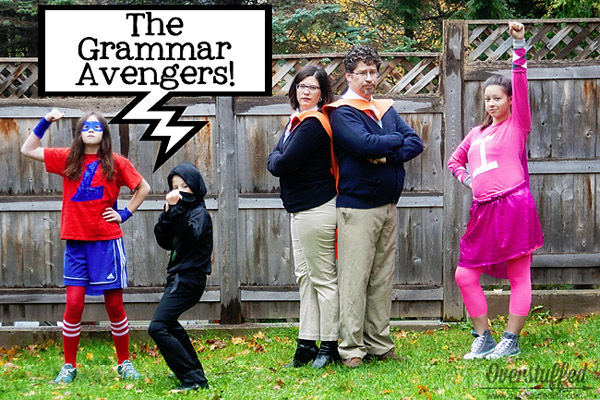 The Grammar Avengers! from Overstuffed. Can we just agree that (imagine the music from the movie here) . 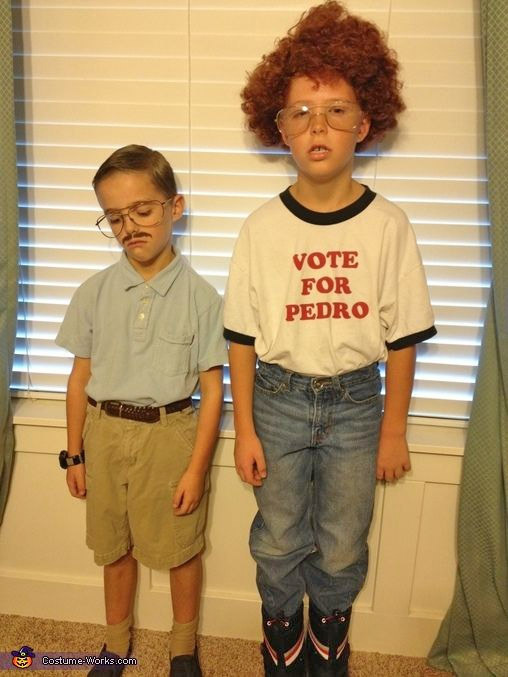 . . this costume is awesome! (Sorry if I got you the song stuck in your head!) 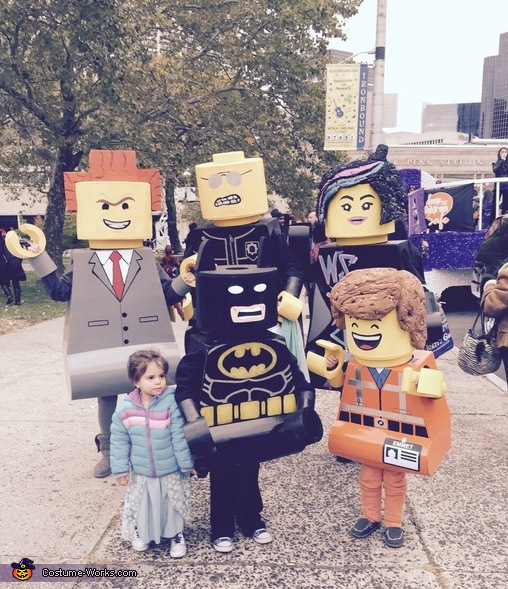 Cool Lego Movie Costumes designed by Susan on Costume Works. 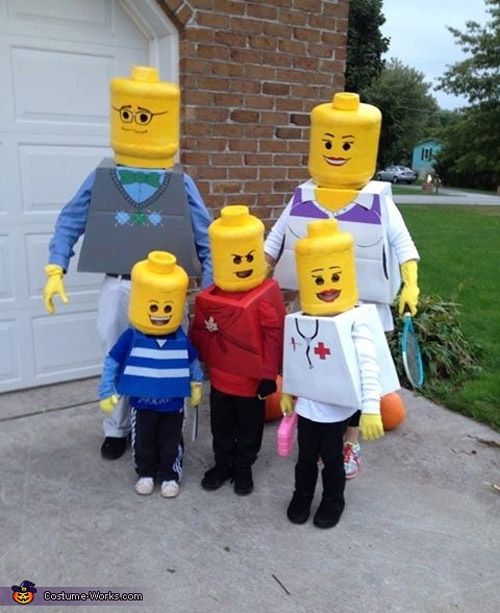 If you’re more into the traditional legos, check out this Lego family designed by April on Costume Works. 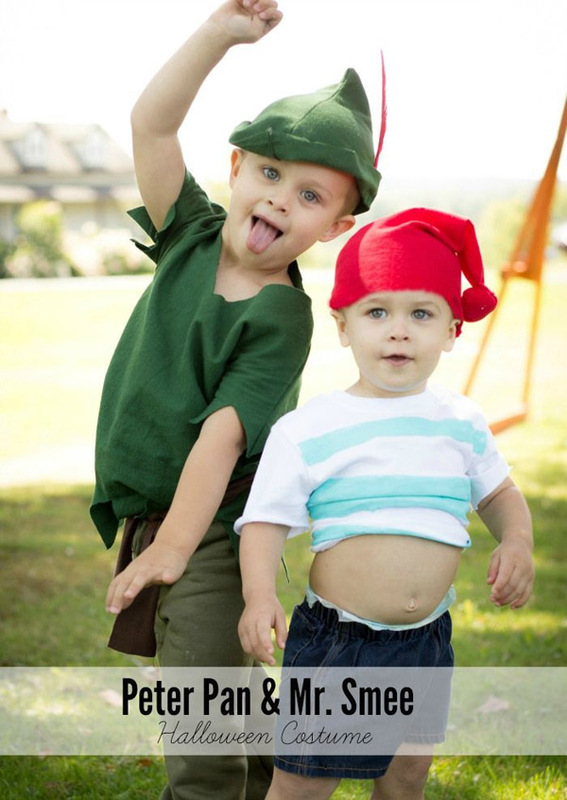 Not only does this costume look easy, but I think I could even talk my hubby into wearing it! Guess Who costumes designed by Gemma on Costume Works. Here’s another great costume with a little extra surprise. Check out mom’s t-shirt! So fun! 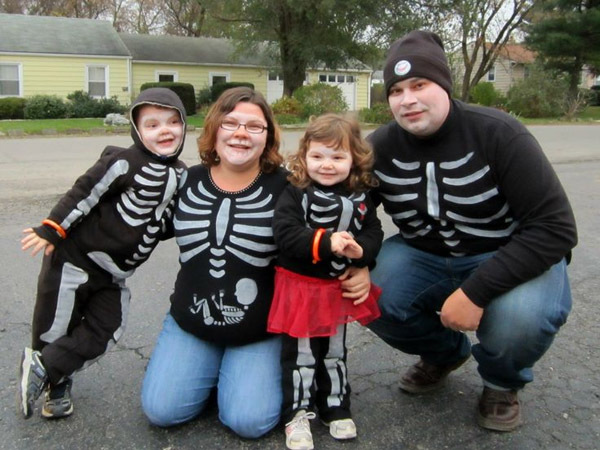 Our DIY Skeleton Family Halloween from B-Inspired Mama! Someone in this family is super creative. The largest plane is disguising a jogging stroller! 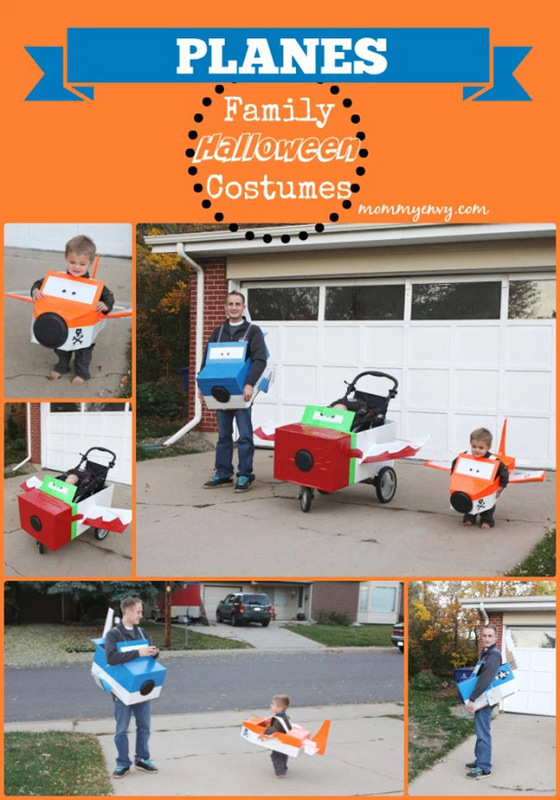 Love these Planes Family Halloween Costumes from Mommy Envy. With some costumes, the facial expressions are as important as the costumes. These boys nailed it! You can see the rest of the Napoleon Dynamite Family Costumes designed by Josiah on Costume Works. I saved my favorite for last. (Favorite as in — I might actually be able to pull this one off!) 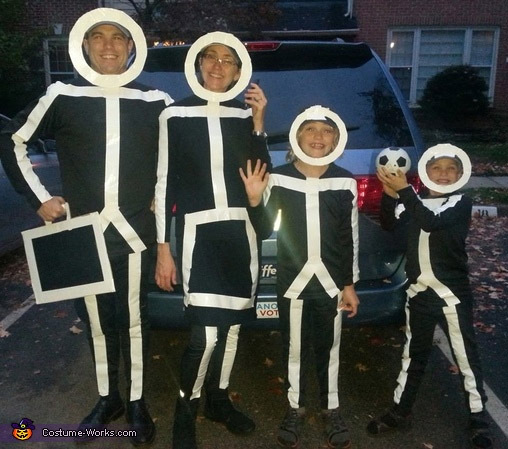 I’m not sure what I love more–the fact that these Stick Figure costumes look super easy, or the fact that they look super cool! Costumes designed by Sarah on Costume Works. Not the DIY type? That’s okay. That’s what online shopping is for! Check out some of these ideas! Thanks for stopping by today! 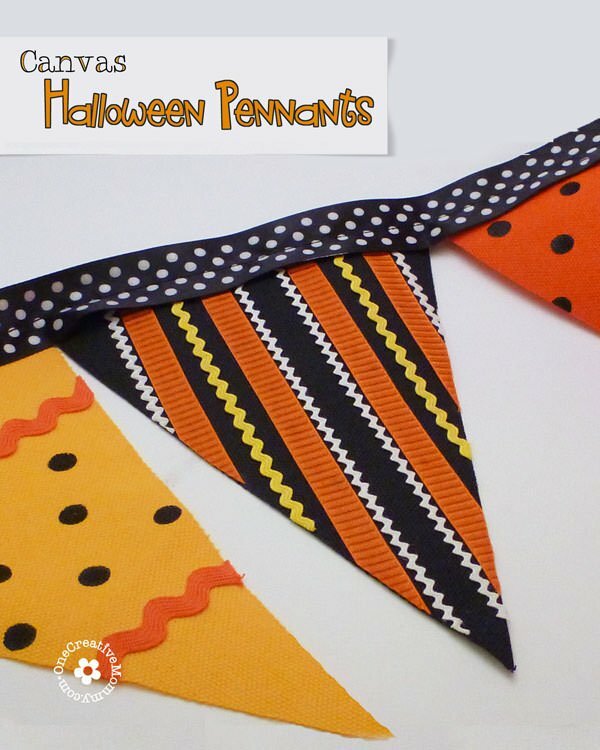 Check out some more ideas for Halloween by clicking on the images below. So honored for the feature! You are welcome to come by The Thinking Closet and play tag any ole time. ;-) Off to pin this epic round-up! So many great ideas here! My boys are excited to be Harry Potter and Ron Weasley so I’m definitely going to be checking out that post. Thanks for the awesome round-up!